The place was warmly established by friendships. We believe that good things can be shared through their windows. Based on Thai culture since long time ago, almost every home can connect to each other. Neighbors are somehow like friends or relatives nearby. And we would like you to experience this friendly warmth here. Warm Window Silom Hostel always welcome new friends sharing cultures and activities from any part of the world. In the past, Silom is the center of trading amongst Thai and European merchants through Chaophraya river. Thais became closer friends with foreigners, while the building architectures on this road have been a blend of Thai and Colonial style harmoniously since then. Although Silom Road became the financial centre of the capital, but yet still being the headquarter of expats and foreign tourists; full of historical attractions, street food, café, and shops; with multi-transportations to downtown and other parts of Bangkok. Thai craft arts and festive gifts are our main activities that you will surely enjoy and share with friends. We use our folk wisdoms to create fun workshops representing Thai culture in forms of traditional food, seasonal toys and souvenir, as well as Thai signatures such as Thai herbs, how to use Thai fabric called “Pa-Khao-Ma” and so on. Moreover, we also have more activities while staying at Warm Window Silom Hostel to let you experience Silom during day and night with the our local recommendations. If Bangkok is your destination then definitely, “Silom”, is a place you should have a look at. There are lots of activities that could provide you true local experiences. Taste of Local?, from famous street food stalls to Michelin star rate restaurant are gathered around Silom! So what’s the reason not to stay around this area? 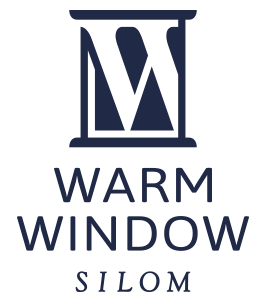 Warm Window Silom will be a perfect place for you!! We located on Pan Road which is one of the most peaceful residence area in Silom. We are only 7mins away from Surasak BTS Station, 1min away to the Bus stop on main Silom street and 10mins away from the pier! We do care for traveller’s need and our place offer ‘wider bed’ with personal locker and capturing design. We provide various choice of accommodation such as ‘Budget capsule bed’, ‘Queen size bed dormitory’, ‘Private room with Bathroom’ and ‘Private group size room’. So don’t worry, if you like travelling alone or travel as a group of friends even couple and families. You will easily fit in our place.